Firstly, thank you soooo much for all the entries on yesterday’s post. You guys are amazing! Fantastic stuff! I haven’t replied because I don’t want to influence the hubster in making his decision, so at the moment I’m keeping stum! When he makes his decision on Sunday I can then have my say lol. I’ll announce the winner next Monday (7th). I don’t often share how I actually feel on my blog, so IWSG Day is an opportunity for me to have a day of self pity and wallowing lol. Sooooo, I’ve just started the complete rewrite of But Not Forgotten, which is now The Last Word Cafe. I spent most of the Christmas break flitting from 3rd person to 1st person, weighing up the pro’s and cons, and basically making a decision….which I then changed a week later lol. Terrified seems like such a strong word, but it’s true. I want to come away from the Faber course feeling I’ve achieved something, that it was worth it. I will not fail and will have my novel completed by June. I’m trying to stay positive about the Agent pitch I’ll be doing in June….but, lol 😉 Still, I guess I should take comfort in the fact that last year the best piece of work (in our tutors opinion) wasn’t taken up by any of the agents! 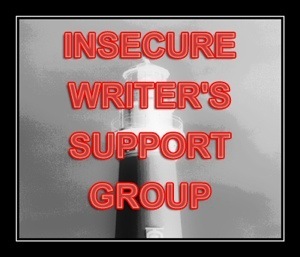 This entry was tagged Alex J Cavanaugh, Blogging, Insecure Writers Support Group, WIP, Writer, Writer Resources, Writers Resources, Writing. Bookmark the permalink. You can do it! If it comes natural, stick with it. You can do it! I struggled over my POV, and then decided to stick with 3rd . . . that’s where I started my story, it fits because I jump heads every few chapters, and well . . .it just seems to work for me with the novel I’m in right now. I think every writer has to choose what works best for them. I’m a huge fan of 1st, so I’m glad you’re writing that way . . .I’m just not there at the moment myself. Have fun, write, enjoy! Most definitely! Especially with the pared back blogging schedule. Good luck! Can’t wait to see what you accomplish this year. *pulls self together* yes, right, lets do this! I guess I just need to believe in myself! I tend to be the same with these sorts of creative decisions – I have an idea that strikes me as brilliant and just right for the story, I think about what I’ll have to change around to make it work, then two days later I realise it was a bad idea all along! Personally I find that writing in first person tends to help me develop a strong sense of the narrator’s character, but at a cost to the other characters. There’s nothing wrong with having an occasional day of self-pity, and judging by what you’ve done so far you seem to have earned it. Good luck finishing off the book! Ha ha ha, oh, that is soooo me! YES YOU CAN!! Being terrified is part of the journey. Wishing you all the best. I’m so glad you decided to go with 1st person. You have such a light and irreverent voice–it just jumps off the page and makes me smile whenever I read it. I think you’ll do great with Last Word Cafe, and I’m looking forward to reading about your progress! I think I’ve made the right choice with 1st person, but I just worry that it will sound too much like me! But then, is that a bad thing? I know it’s 2013 now, but I just nominated you for Blog of the Year 2012 – I hope you will accept – do pop over and have a look at my blog for the rules. Happy New Year! Guess what Vikki. Are you read for it? You can do it. And, I can do it. We just have to put in the work. And, if you need any help, let me know. 2013 is going to be a good year. I can’t wait to see what we can do. I’m quite sure you can pull off first person, once you get into the flow of it. And I agree with others: your “voice” will be one of your strengths. Thanks Pauline and that’s a very good point. The first 1000 words I did on Tuesday the hubster said was a bit boring, but yesterday’s 1000, I felt, flowed much better (he hasn’t read that yet though lol). Of course you can do this. Just show up every day and dig in. I’m working on several pieces right now that are in first person. Fortunately, each character has a very distinct cadence, so they don’t leak into each other. I’m also working on one piece in close third, and sometimes it’s a little hard to pull out the lens — but since I’m switching POVs within the book, it gives me more flexibility. Happy New Year, Vikki … glad to be back on line after I lost my computer on Christmas day !! And, of course, you can do all that and more 🙂 Let’s have a great year of writerly fun !! Hi honey, Happy New Year! Oh no!!!!! And there was me thinking you were just having a little break over the holiday!